1. bellow a high bun. This is sort of my favorite style. 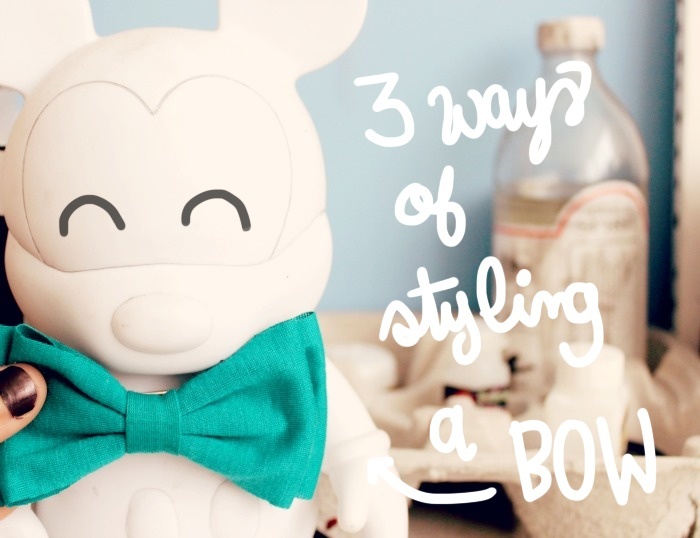 You just need to grab your hair up into a high bun and place the bow. 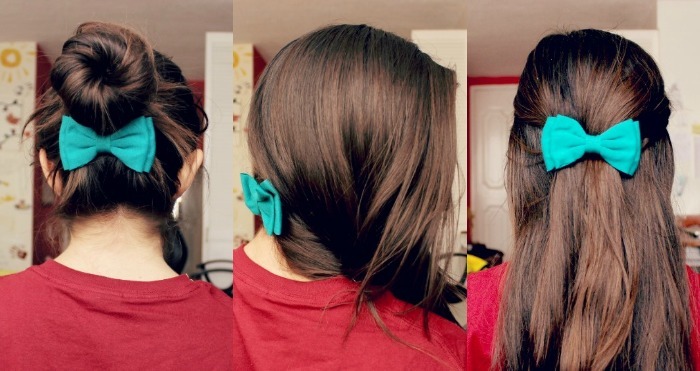 You can also do it with the bow in top of a low bun, it is really easy and cute. For this one you need to take your hair to a side and start twisting until you cover all your back, then secure the bow and you are done! 3. On the back as a half ponytail. Have an awesome weekend! xo. So cute. Will definitely wear this to school one day. And your new design? Amazing. the tiffany blue looks GREAT with your gorgeous brunette hair! 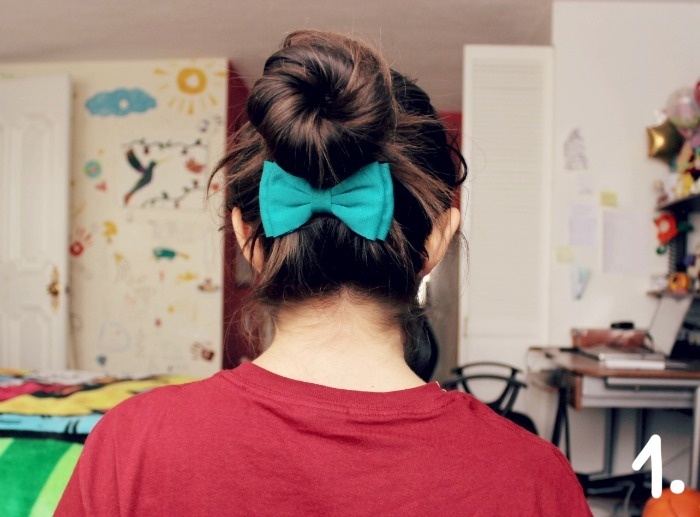 I love the under the bun bow! How clever! 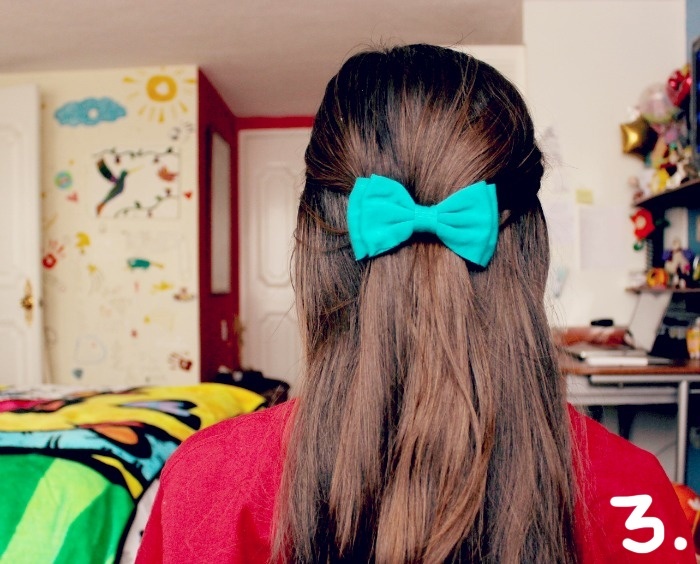 First off..that blue bow is gorgeous! Second..you have really pretty hair!And lastly OMGILOVEYOURBLOGITSSOCOOLANDCUTEANDOMG! Lol I was wondering if you would sponsor my blog? Also will you check out and maybe follow my blog? I am not much into bows, buuuut I really love the #1! 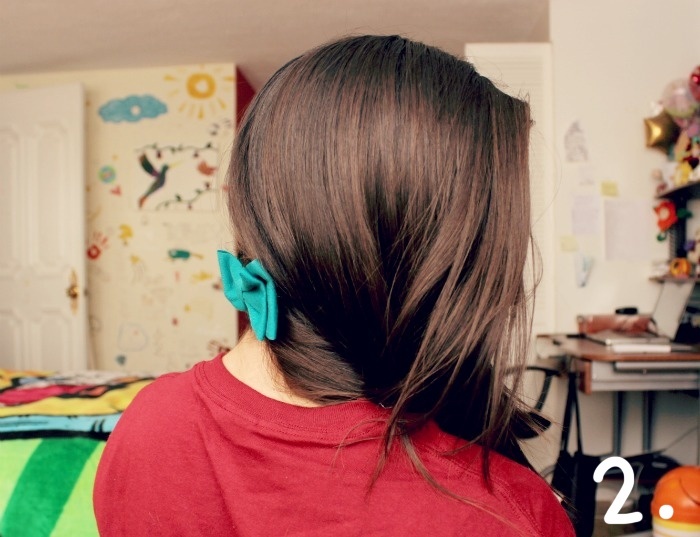 I think I might reconsider not wearing bows, and try this way :) Thank you for the tip!